Before the final week of the Florida winter season, Tori Colvin already had a season most riders can only dream of having. 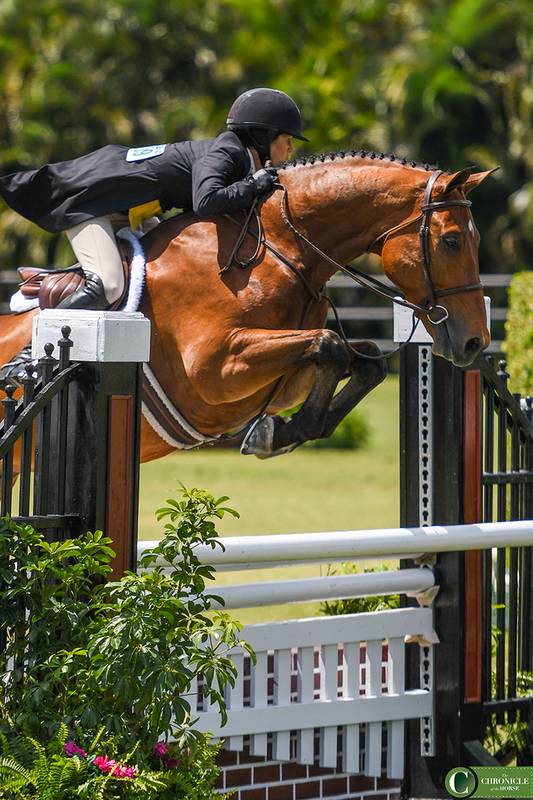 Four weeks ago to the date, she rode El Primero to victory in the $50,000 USHJA International Hunter Derby, held at the Wellington-based Deeridge Farms. Two weeks before that Colvin won the WCHR Hunter Spectacular with Private Practice. 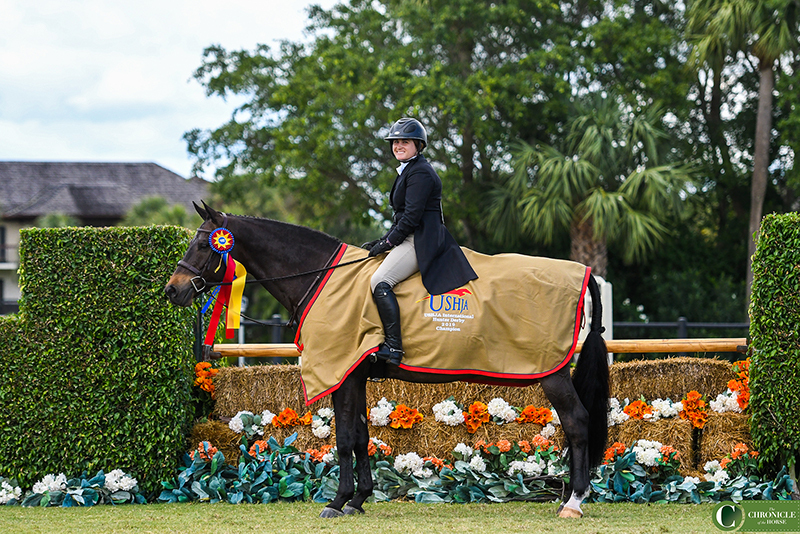 In perfect Colvin-form, she closed out the 2019 Winter Equestrian Festival with another win aboard “Primo,” this time on the grass field across the street at the Adequan Global Dressage Festival. Colvin only started showing Bryan Baldwin’s 10-year-old Dutch Warmblood gelding (Numero Uno—Zo-Special, Indorado) at the beginning of circuit, and they’ve never missed a beat. 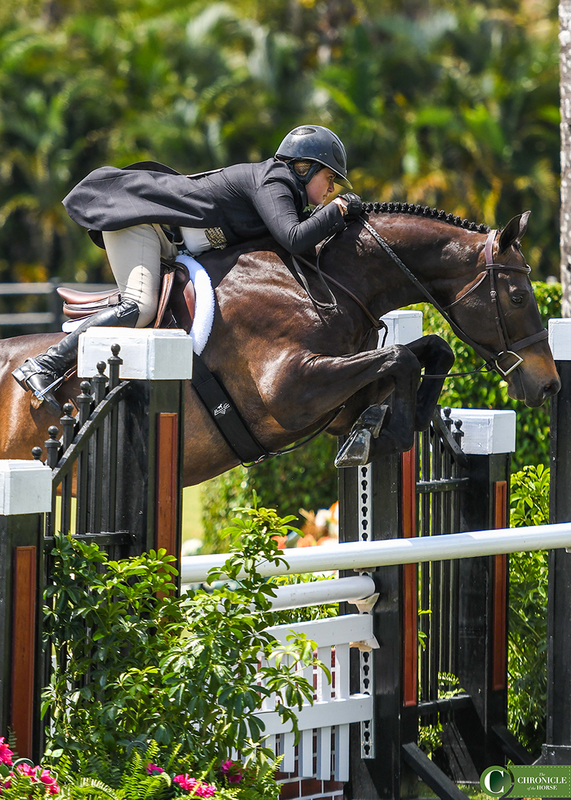 “I’ve been riding him for just the weeks during WEF, so a couple of months,” said Colvin, who rode Primo to an overall score of 402. “I don’t know him that well, but he’s super easy, so it’s not too hard. Louise Serio, who rode him before, gives me a lot of direction with him and tells me how to ride him and how to make him go his best. I have to give the credit to her. Tori Colvin and El Primero. Kelley Farmer and the 7-year-old Westphalian gelding Consent entered Round 2 only six points behind Colvin. They finished second overall with a score of 385. Liza Boyd and Maggie Hill’s Tradition closed out the top three with an overall score of 376.5. 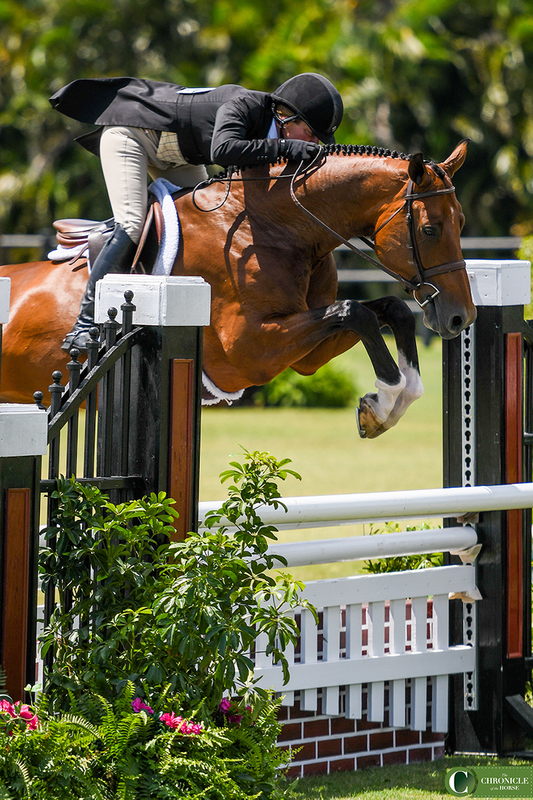 Two days ago, that pair topped the $15,000 USHJA International Hunter Derby Hunt-And-Go.